The Double Big Dragon Glassblowing Furnace Kit! ​The Double Big Dragon furnace/glory hole combination is fantastic for sculptural work. 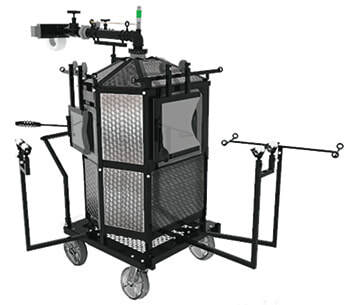 With two working ports, the Double Big is excellent for production, bit working, and/or running efficient workshops. The larger crucible and opening can accommodate for a bigger ladle, making it also excellent for ladle casters. Take it on the road or use it in your studio!